Switzerland accused Israel on Thursday of wantonly destroying Palestinian homes in East Jerusalem and near Ramallah in violation of the Geneva Conventions’ rules on military occupation. An Israeli Embassy spokeswoman in the Swiss capital of Bern said the decision to remove the structures was not an arbitrary decision, but was sanctioned by law. 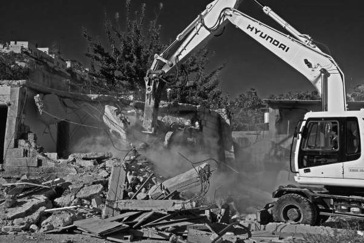 “This demolition of houses was done under a court order,” embassy spokeswoman Shlomit Sufa said Thursday. Switzerland – as the guardian of the Geneva Conventions – can call meetings of the treaty’s signatories if it finds problems with its implementation, but does not have any special powers to enforce the document. The Swiss statement, using unusually harsh language, said the neutral country regards the recent incidents as violations of international humanitarian law and notes no military need to justify the destruction of these houses. The Swiss statement called East Jerusalem an integral part of the occupied Palestinian territory – a phrase that could anger hardline Jewish groups that believe Israel should maintain control over the entire city. Israel captured East Jerusalem in the 1967 Six Day War, but Palestinians claim the territory as the capital of their hoped-for state. Sufa said the Israeli government regrets that phrasing in the Swiss statement, noting the status of East Jerusalem and other territories is still subject to a final peace agreement between Israel and the Palestinian Authority.